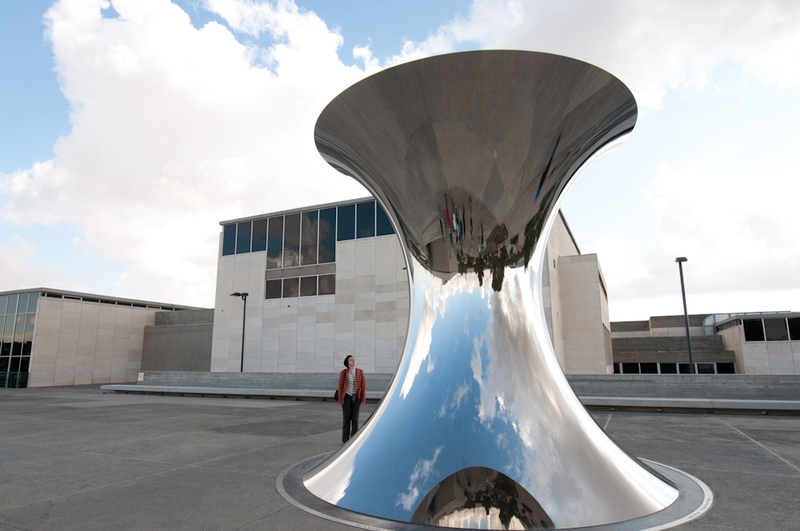 This entry was written by Sarah Jenkins, posted on 11/05/2011 at 11:42 am, filed under October 2011 category. 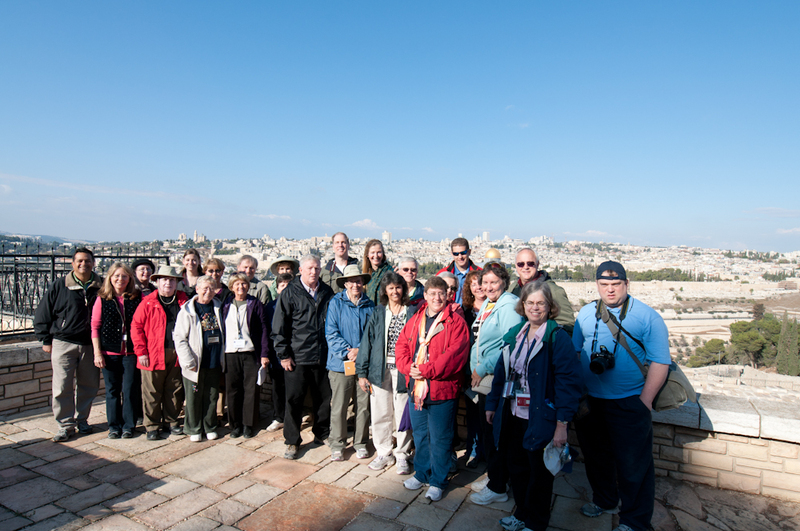 Our morning began bright and early, with a beautiful view of the Old City of Jerusalem from the top of the Mount of Olives. 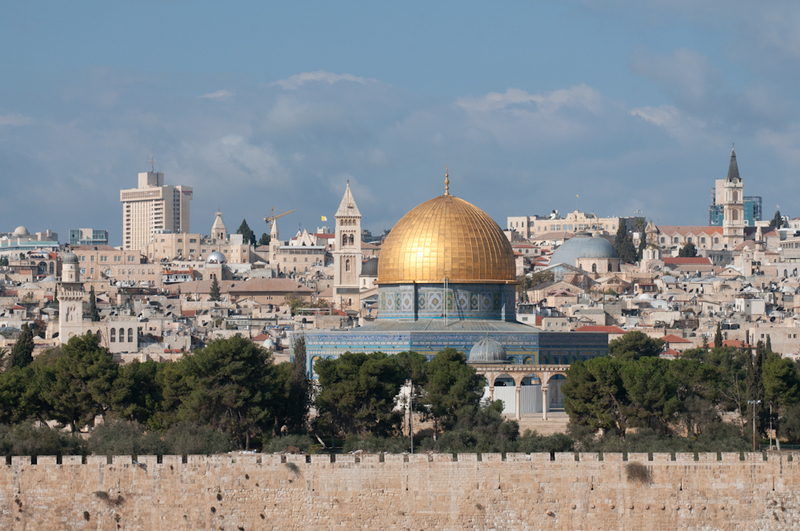 We are treated to a view of the sun glinting off of the Dome of the Rock as the cool morning breeze rustles the branches of the nearby olive trees. 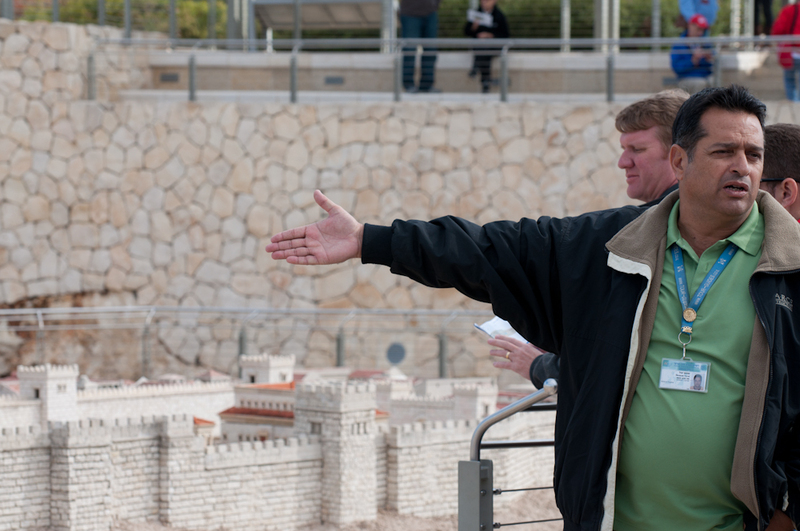 Yuval points out the sealed Golden Gate, the gate Jesus will walk through when He returns. 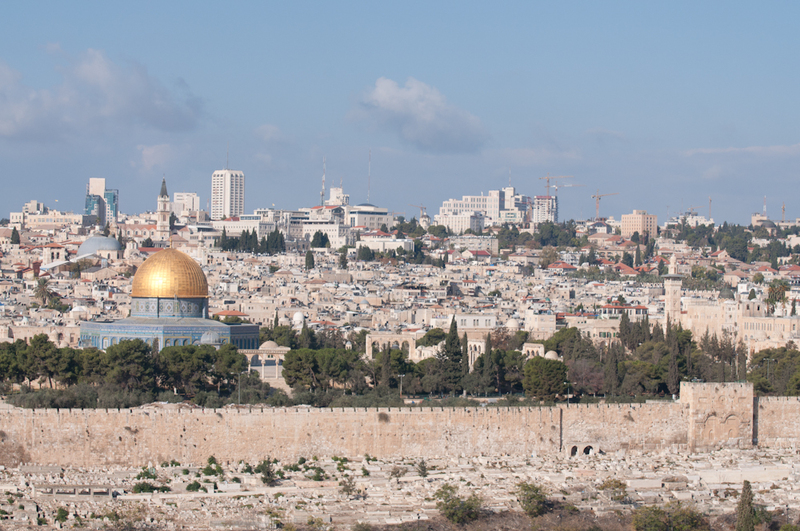 Although it was sealed up by the Moslems to prevent an event such as this from happening, they were actually unwittingly fulfilling a prophecy, Yuval tells us. He quotes Ezekiel 44:1-3, “Then He brought me back to the outer gate of the sanctuary which faces toward the east, but it was shut. And the Lord said to me, “This gate shall be shut; because the Lord God of Israel has entered it: therefore it shall be shut. Only the prince may sit in it to eat bread before the LORD; he shall enter by way of the vestibule of the gate, and shall go out by the same way.” Suleiman the Magnificent had no idea that he was actually ushering in biblical prophecy instead of thwarting it when he sealed these gates! 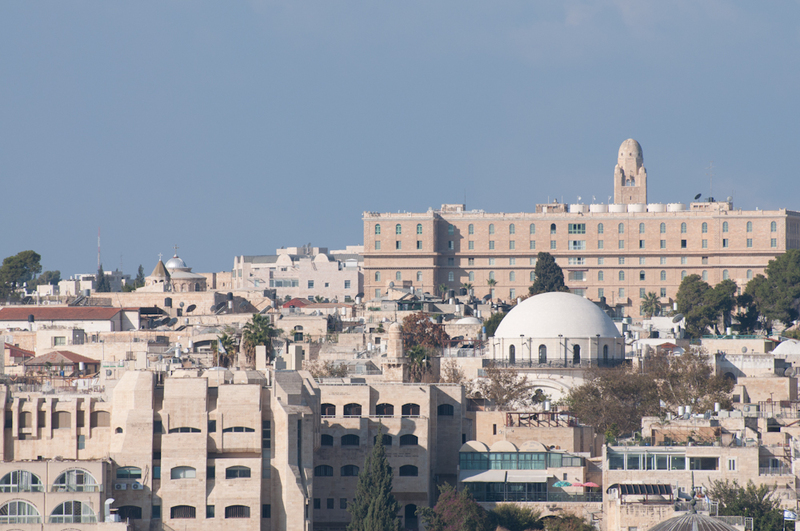 We continued down the steep Palm Sunday path, which leads down the Mount of Olives, and stop off on the way at Dominus Flavius, or “Our Lord Wept.” This teardrop-shaped church commemorates the place where Jesus stopped to weep over Jerusalem, and to foretell its destruction, as found in Matthew 23:27. 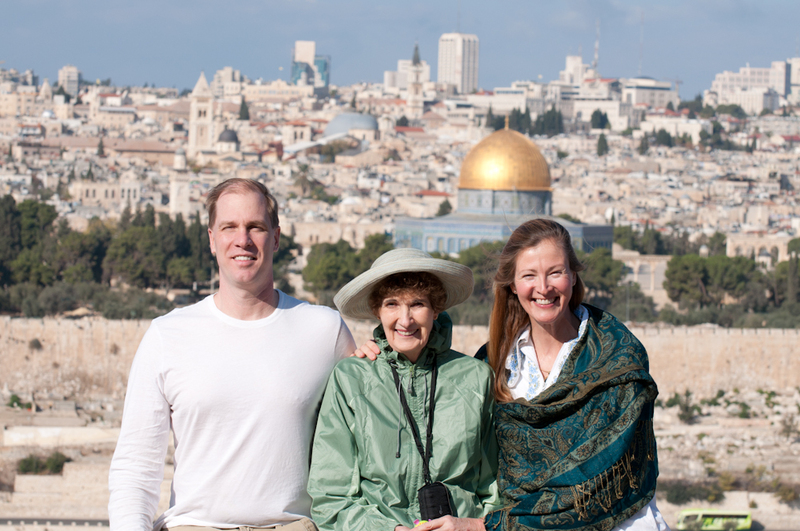 We stand on the overlook and view Jerusalem, before continuing down the steep, winding path to the Garden of Gethsemane. 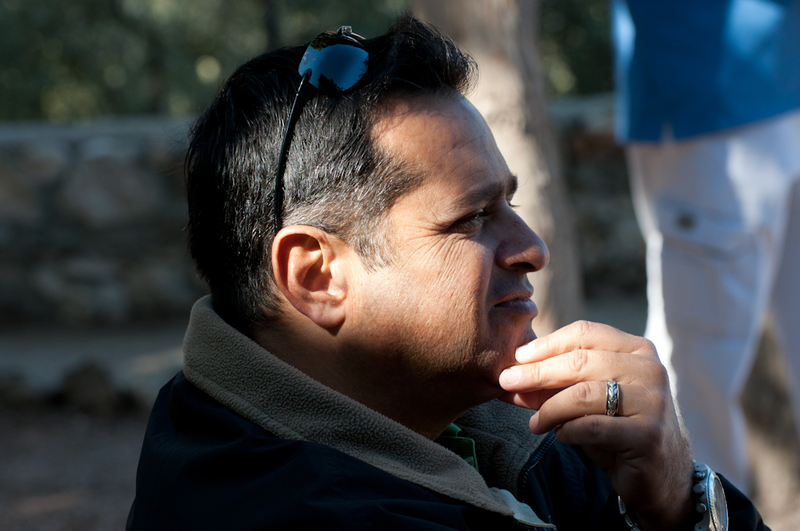 Yuval ushers us into a private garden, where ancient olive trees dot the landscape. A few other groups are visiting this section of the garden with us, and we can hear bits and pieces of their own private worship services as we gather together on some cool granite benches to listen to Mark. He reminds us of Jesus’ time in the Garden the night before He was crucified, and explains some symbolism regarding the olives. 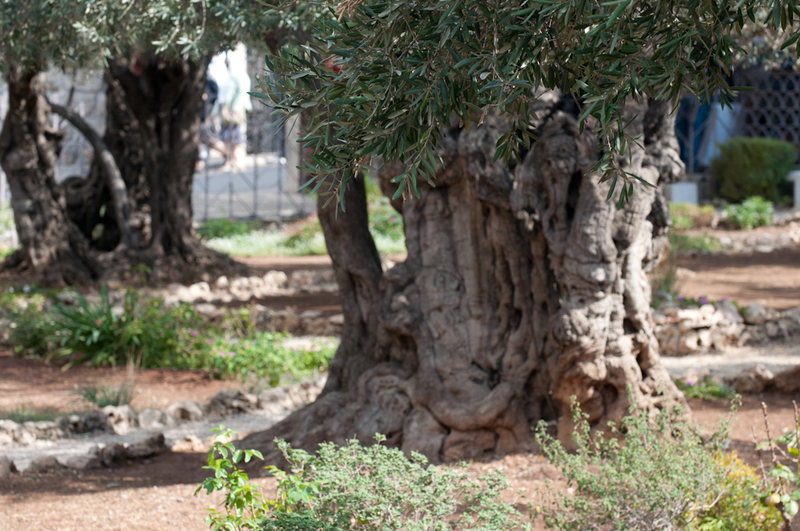 It is significant that Jesus spent His time in prayer here, in the garden of the “olive presses”, as Gethsemane is translated. He stumbled, fell, and prayed three times, which is directly analogous to the three pressings of olives to make olive oil. 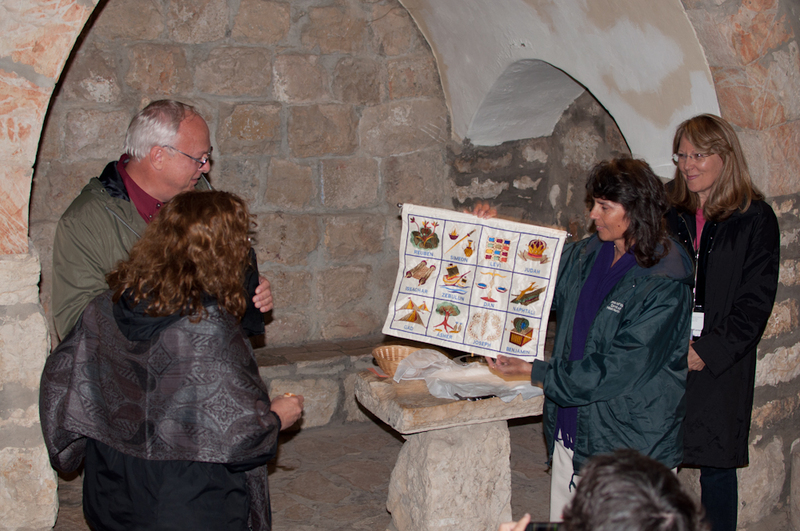 The first pressing, the virgin pressing, was used for anointing. The second was used for medicine and oil for lamps, and the third pressing was used for cleansing and to make soap. 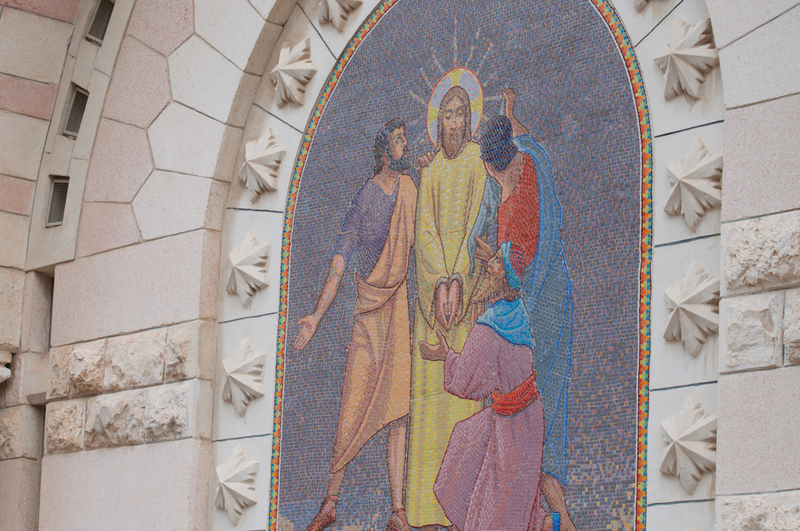 As Jesus prays three times in this garden, we can see the symbolism. He is one who has come to anoint, and is indeed the anointed one. He is a healer, and the light of the world. And He came, ultimately, to cleanse us of our sins. 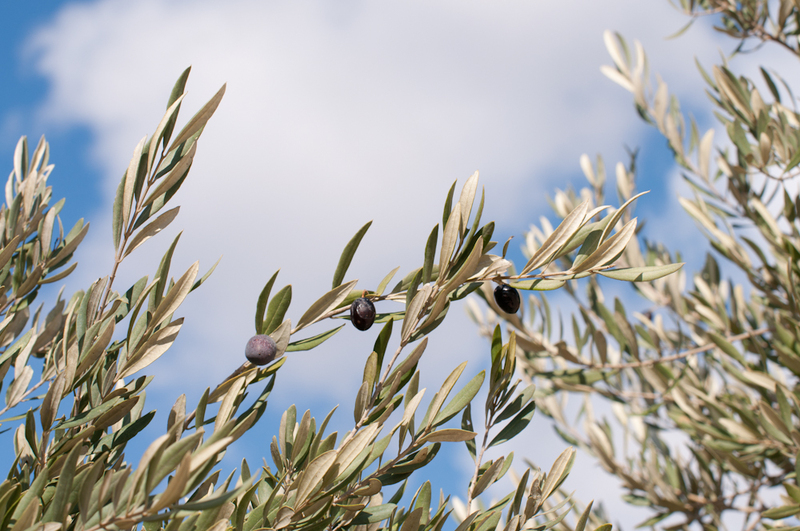 Another special symbolism comes from olive trees – the old trees, the ones that no longer bear fruit, are cut down and new shoots are allowed to grow from the roots, or these shoots can be “grafted in” to a healthy tree and allowed to form new branches. 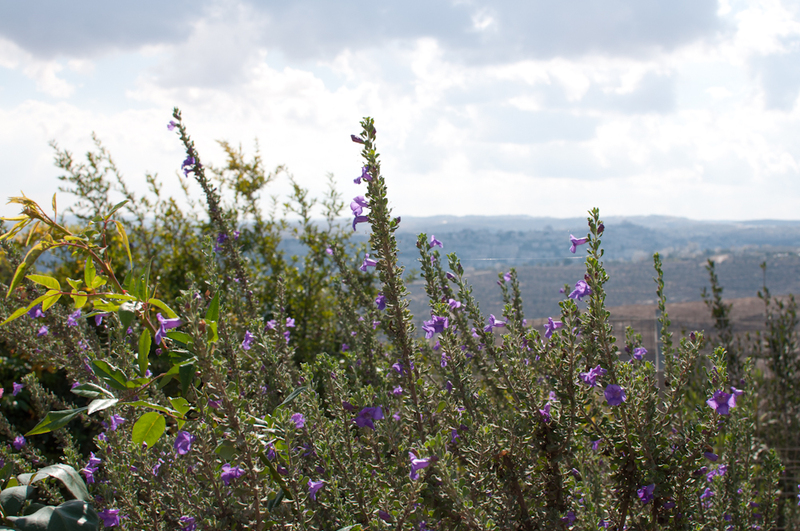 These shoots, are called in Hebrew “nesserets.” This is where the name of the town Nazereth comes from. We spend some time in prayer and in reflection in this garden separately, before gathering back together to cross the busy road to the Church of All Nations. 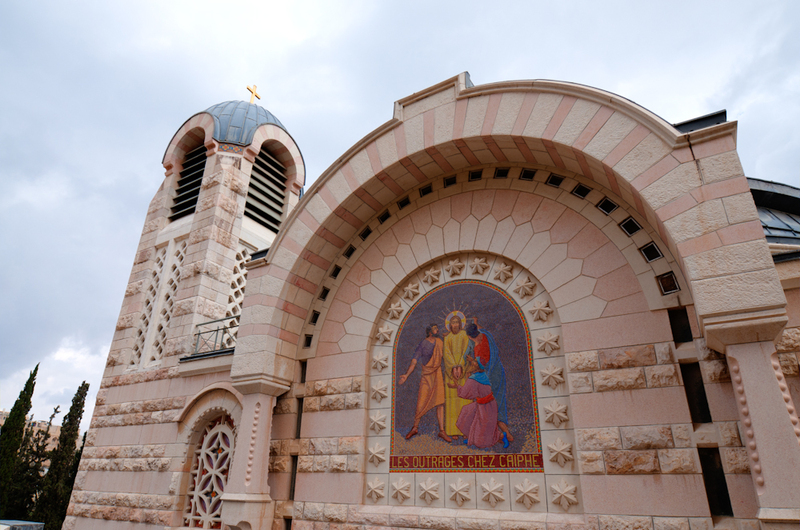 The garden outside of this beautiful church contains some of the oldest olive trees in existence – some of which are even speculated to have been there when Christ was alive. These twisted, gnarled tree trunks are beautiful in their own right, but the delicate beauty of the new shoots growing from the ancient wood are perhaps the most beautiful. Yuval tells us that these trees still produce olives, and that the harvest had just occurred a scant week before we arrived. 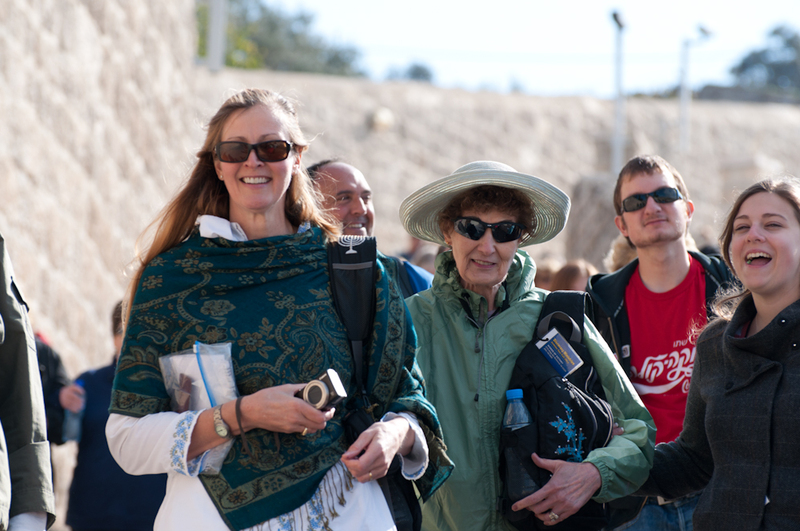 After exiting the garden, we hopped back on the bus and drove a short way to the House of Caiaphas. 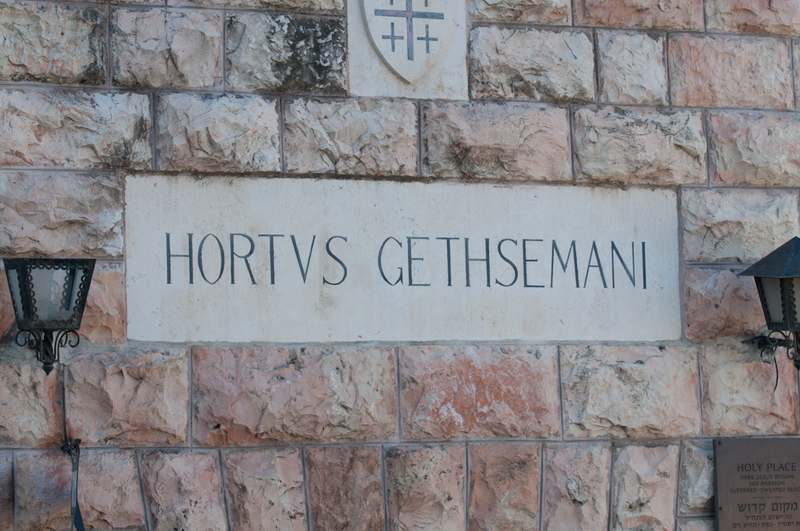 This is the house of the high priest at the time, and where Jesus was held after His arrest in the Garden in Gethsemane. 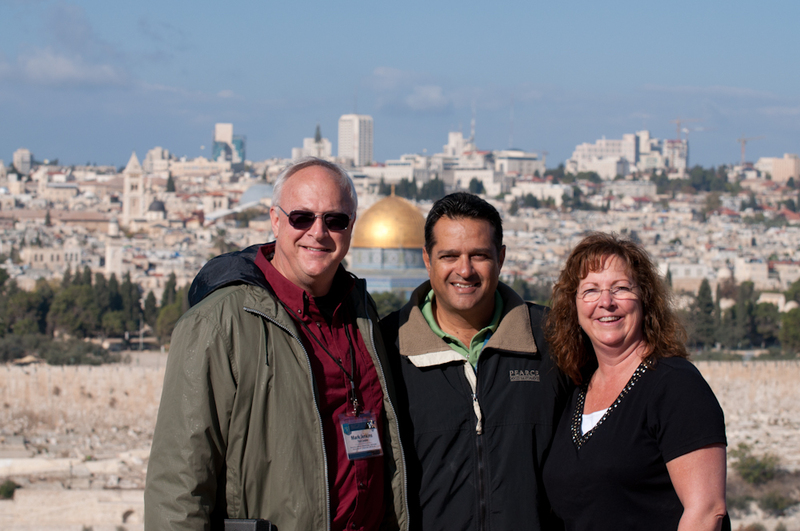 This was also the place where Peter denied Christ three times, before the rooster crowed in the morning. We stop briefly in the church that the Catholics built over the house, and travel down a set of steps into the dungeon. It is easy to see the notches in the walls where chains would have been looped, holding prisoners against the wall or spread-eagled from the ceiling to receive lashes with a reed. 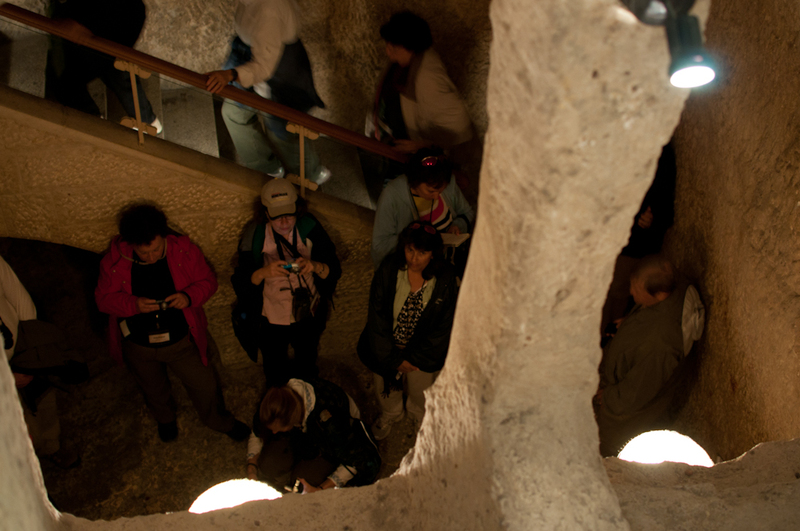 Solemnly, we exit the dungeon where Jesus was whipped, and walk down a set of carved stairs into a dark pit. Here, we cluster around the carved walls as Mark reads to us from Psalms. 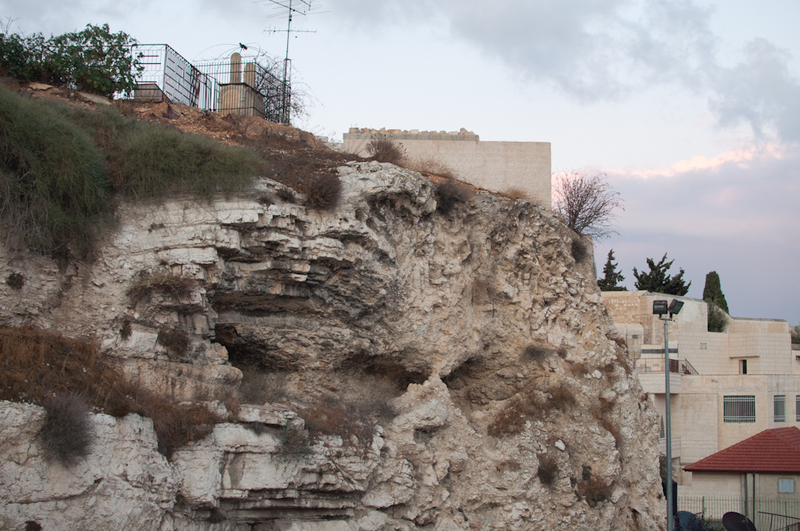 Yuval plunges us into darkness, and we stare up at the small squares of light that would have been the only thing Jesus would have seen as He waited in the dark of the pit. 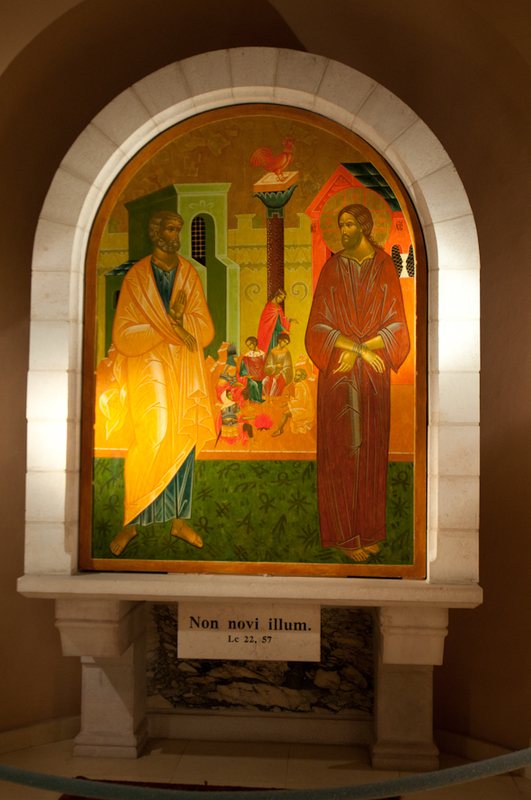 He would have been lowered from a hole in the roof, which looms high above our heads, and the high priest would have peered down through the two windows slightly down at to the right. 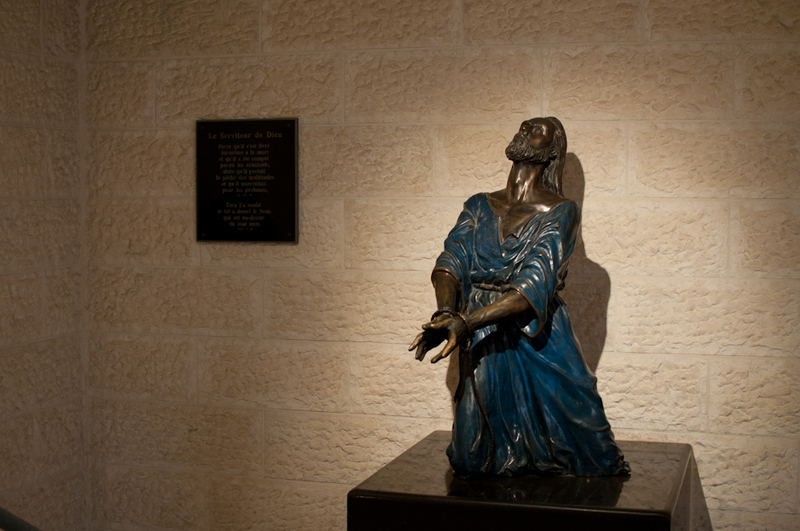 It is hard not to cry as we imagine the darkness, confusion, sadness and suffering that Jesus would have gone through down here, and all in our name. 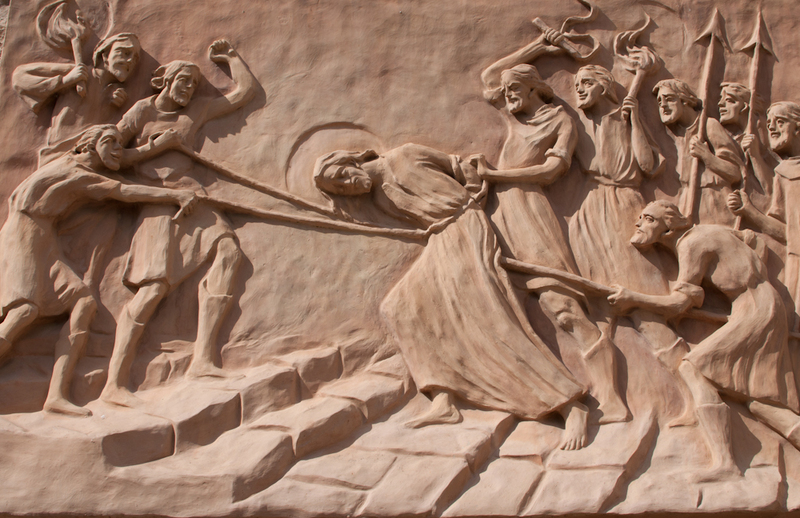 After solemnly exiting the pit, we stepped outside in the sunlight and walked around the side of the building to a courtyard, where a statue of Peter denying Jesus around a coal fire figures prominently. What a wonderful reminder of how Jesus forgives us! 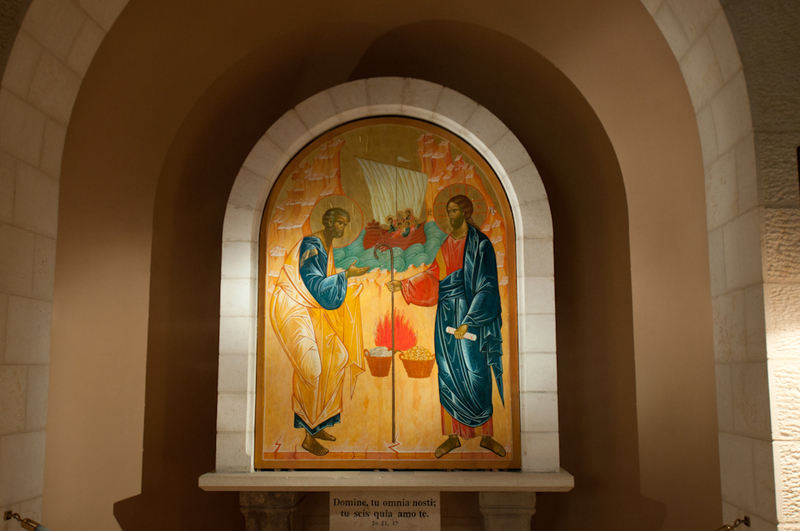 Even when He was suffering and Peter was turning His back on Him, just a few short days later, Jesus would be asking Peter to tend to His sheep while feeding him breakfast cooked over a coal fire on the shores of the Sea of Galilee. 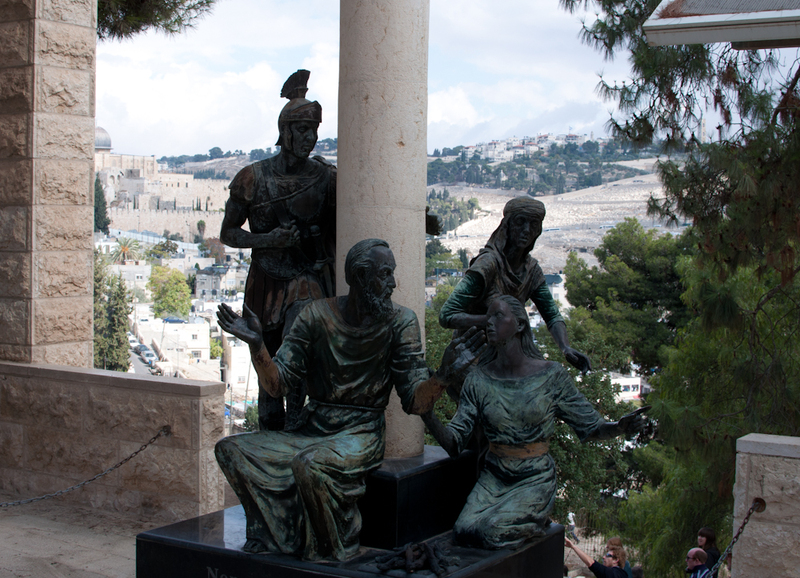 To the right of this statue are a set of stone steps leading down from the house that would have once reached to the Garden of Gethsemane. 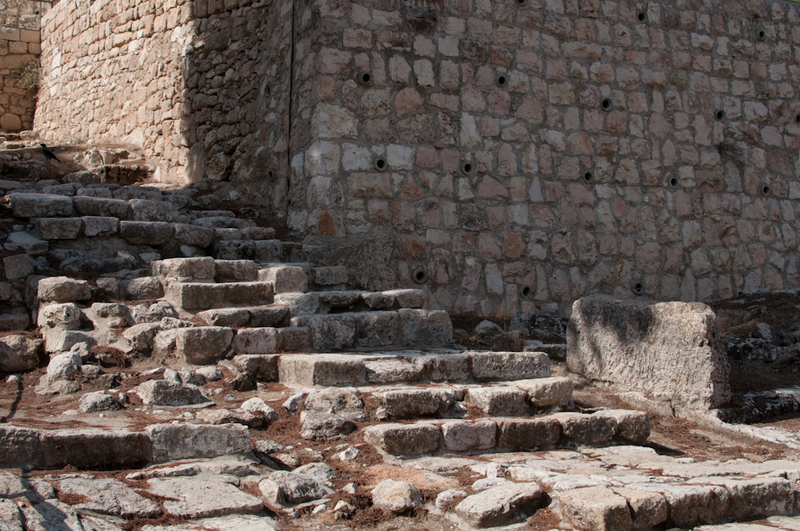 These steps are the very same ones that Jesus would have been walked up after His arrest in the garden. It is very powerful to look at these steps, and to imagine them leading all the way down to the beautiful garden filled with olive trees. 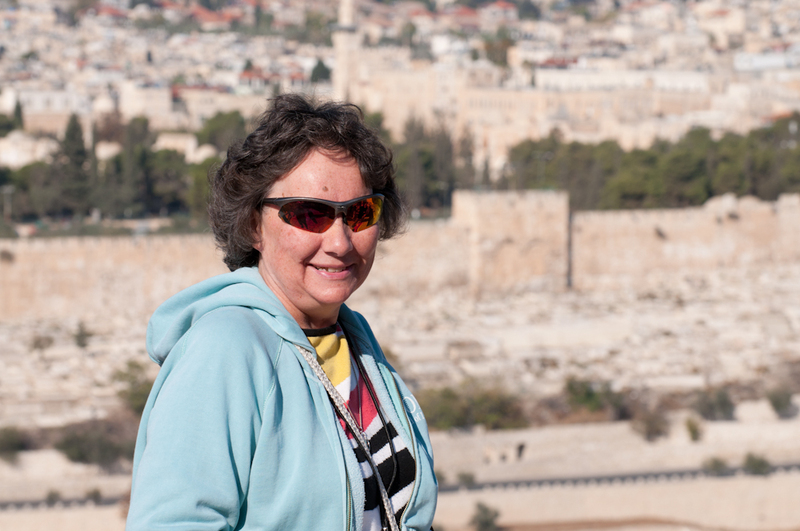 After we leave the house of the High Priest, we head to Ramat Rachael, a local kibbutz, for lunch and a view of Bethlehem, where Jesus was born. 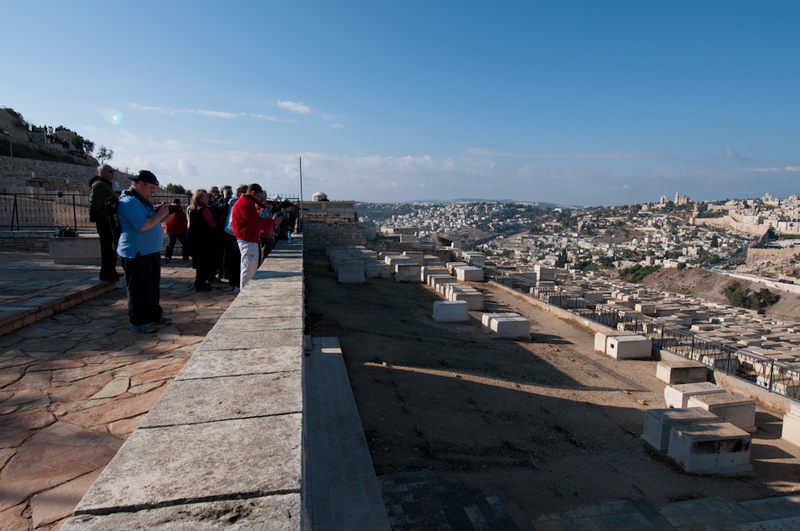 Since Bethlehem is now Palestinian controlled, it is no longer safe for us to visit, but this view is almost as good. We can clearly see the city and the field where the shepherds would have been standing when they saw the angels telling them to go and see the newborn Savior. 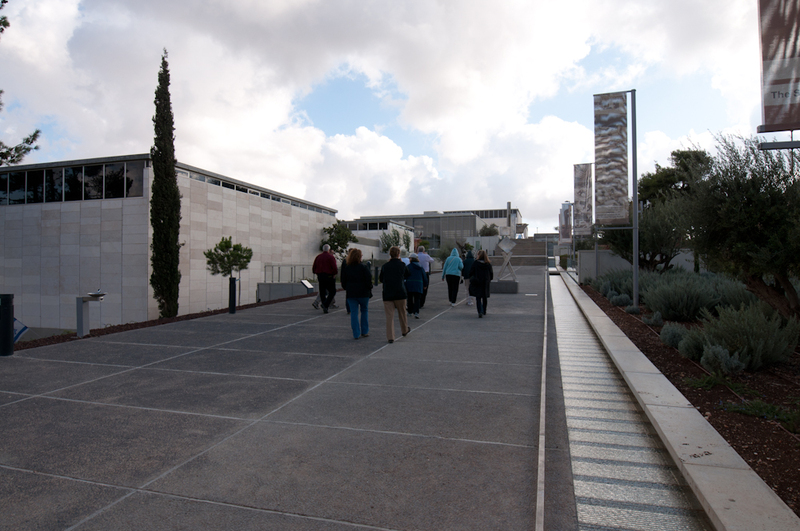 After we left Ramat Rachael, we headed to the Shrine of the Book, the place where the Dead Sea scrolls are kept. 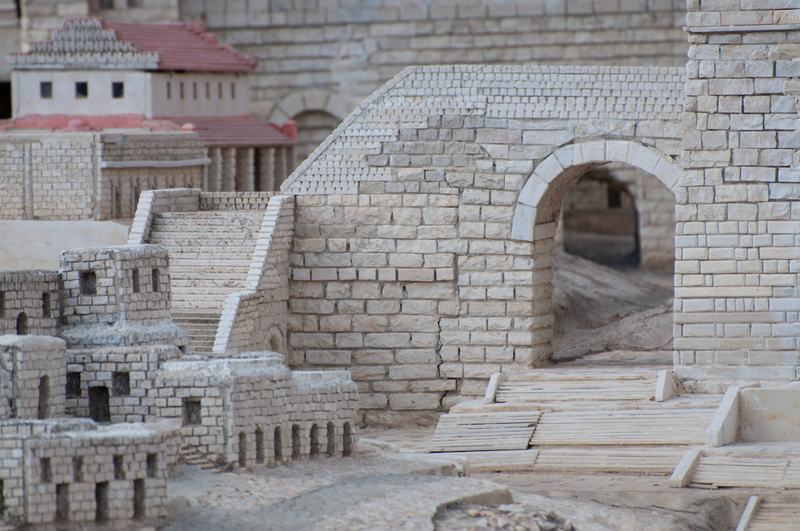 Before we go see the ancient texts, Yuval uses the huge model of Jerusalem in the Second Temple period outside to give us a bit of context. The Dead Sea Scrolls are a sight to behold, and there is something awe-inspiring about looking at text that had been left alone for 19 centuries before it’s discovery. 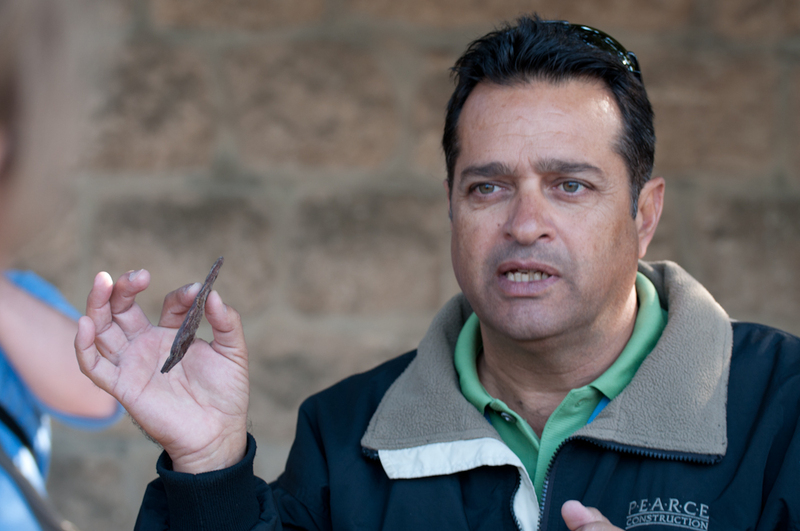 Since we had some time to kill after we had all viewed the scrolls before our appointment at Gordon’s Calvary, Yuval took a small group of us whose feet aren’t too tired through the museum on the property. We see many fascinating things here – the ossuary of Caiaphas the high priest, whose home we just visited, the original inscription from Caesarea Maritima that talks about Pontius Pilate, an anchor from the Dead Sea, several Canaanite idols from the 19th century BC, an ankle bone with a crucifixion nail through it and so much more. There was so much to see jam packed into this museum; we regretted that we only had an hour to spend here. 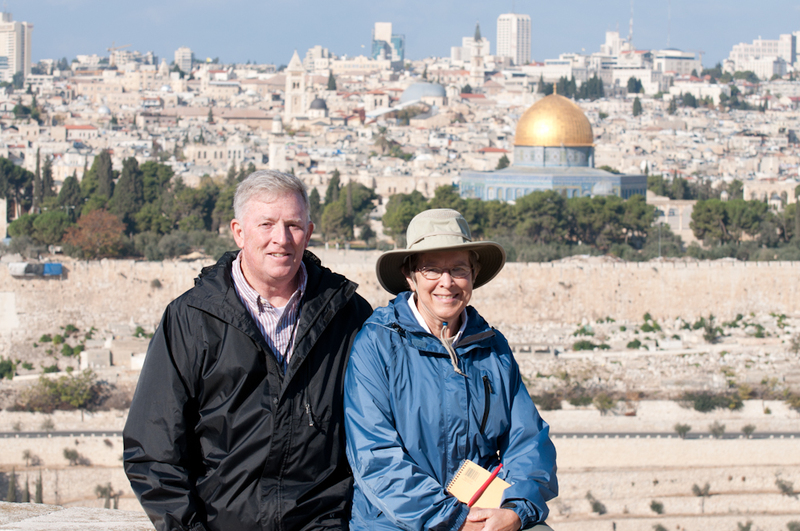 After regrouping on the bus, we drove across the city to Gordon’s Calvary. 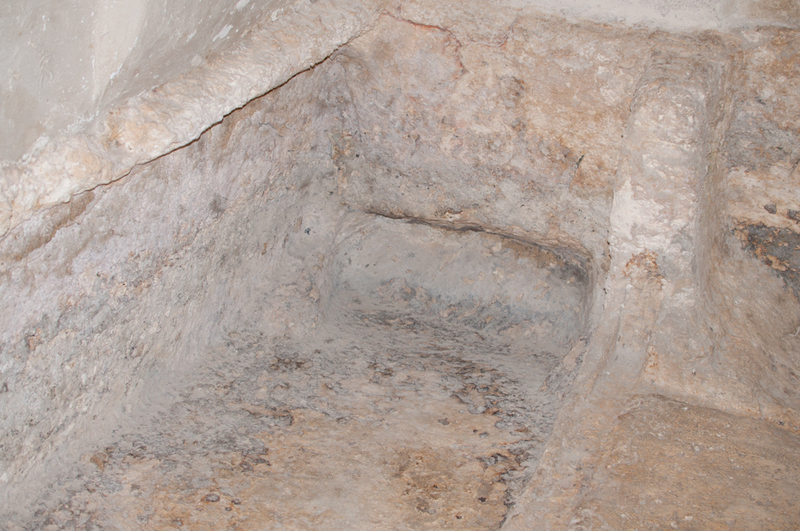 This is where we believe that Jesus was crucified, and where the Garden Tomb I located. 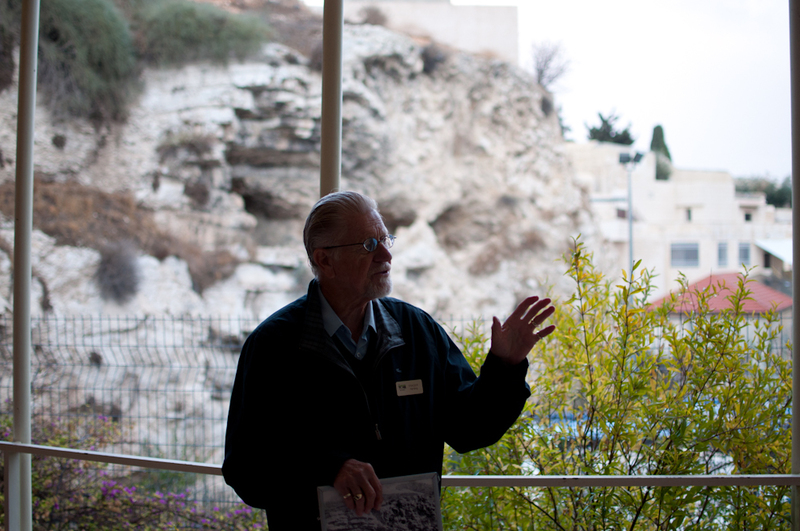 As we stand on the hill in this beautiful garden, gazing out at the skull in the rock and the foot of the hill where Jesus would have hung on the cross, it is easy to feel a chill in the air. 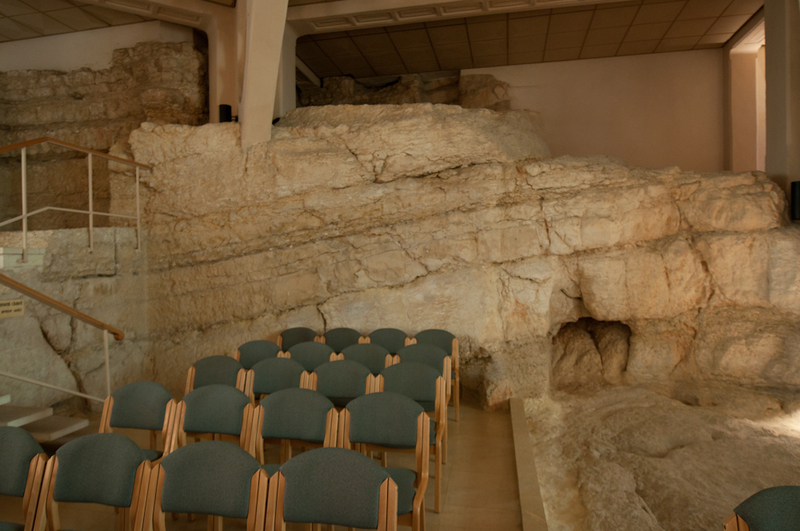 With the cool, impassive eyes of the skull staring at us, we are reminded of all the reasons that we believe that this is the place where Jesus died for the sins of the world. It is located outside of the city walls, for one, which was prophesied. For another, it is right next to what was once a busy road, where people would have been able to stop and heckle those who were dying. 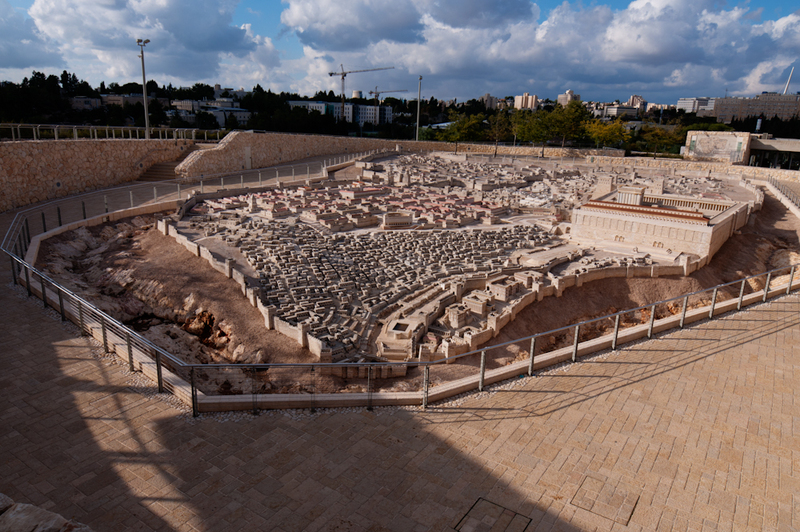 Evidence of crucifixion was found during excavations here, as well, everything from humans remains to nails. It is pretty easy to see that this place fits the description of Calvary very, very well. 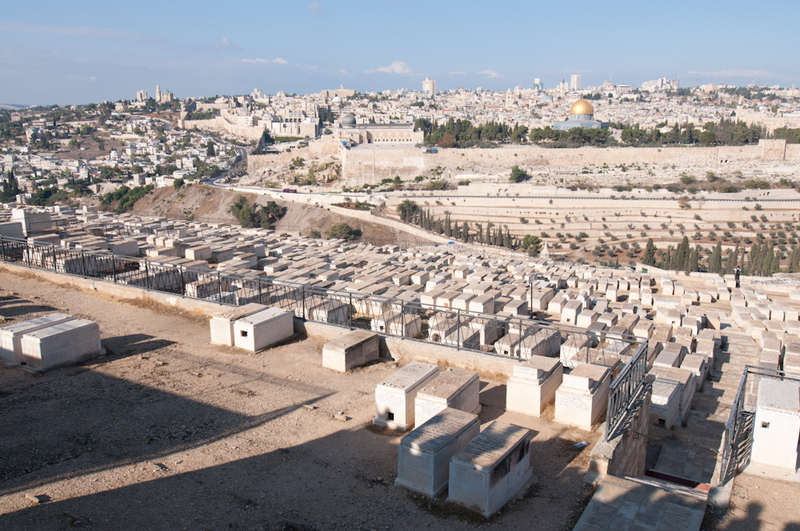 Leaving behind the empty eye sockets of the skull at Golgotha, we travel down the hill to the Garden Tomb. 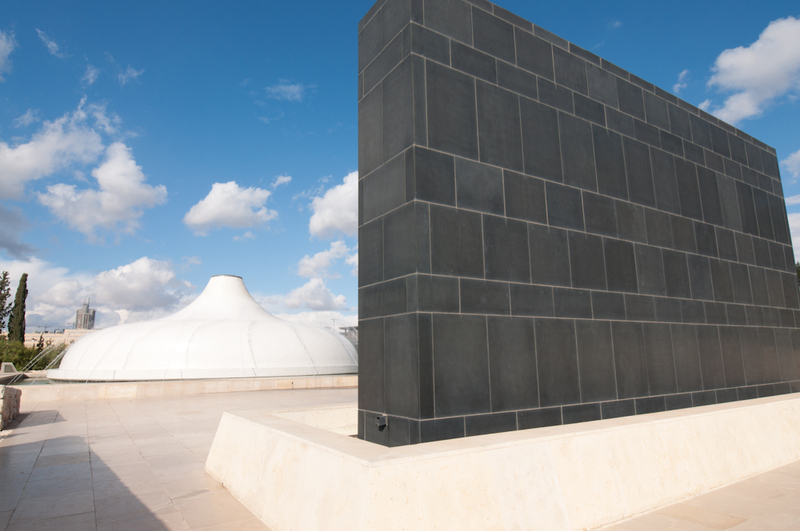 In the waning light of the day, we view the large tomb where only one side has been fitted for a body – the rest remains unfinished. 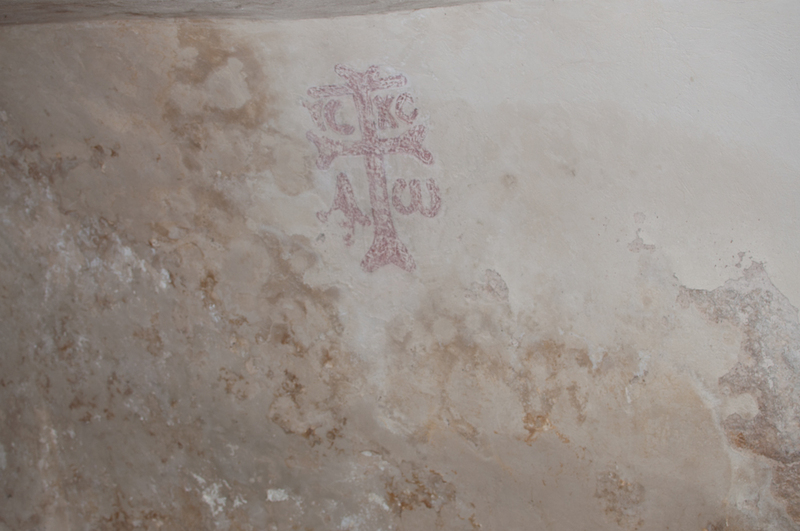 This tomb was found with no human remains inside of it, and was built by a person of some wealth, as Joseph of Arimathea was. This tomb was also found in a garden, as the ancient winepress and cistern demonstrate. 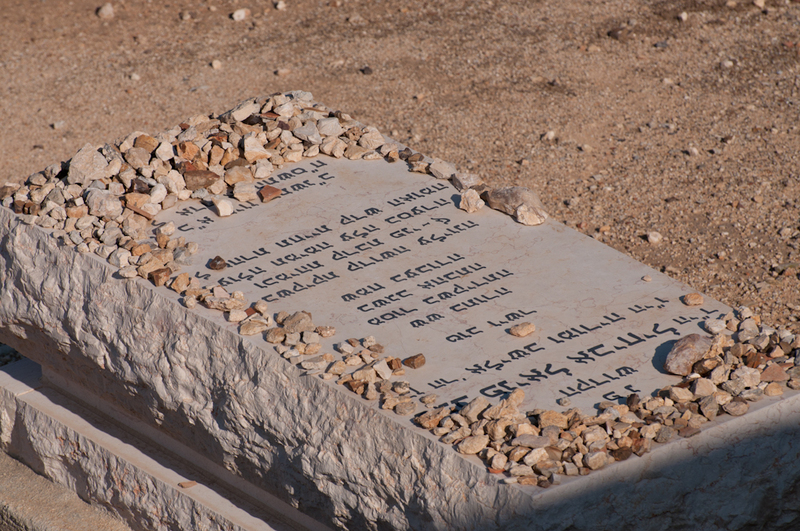 Evidence points to this site being authentic, but even if it is not, is still reminds us of how lucky we are that Jesus is NOT in any grave! 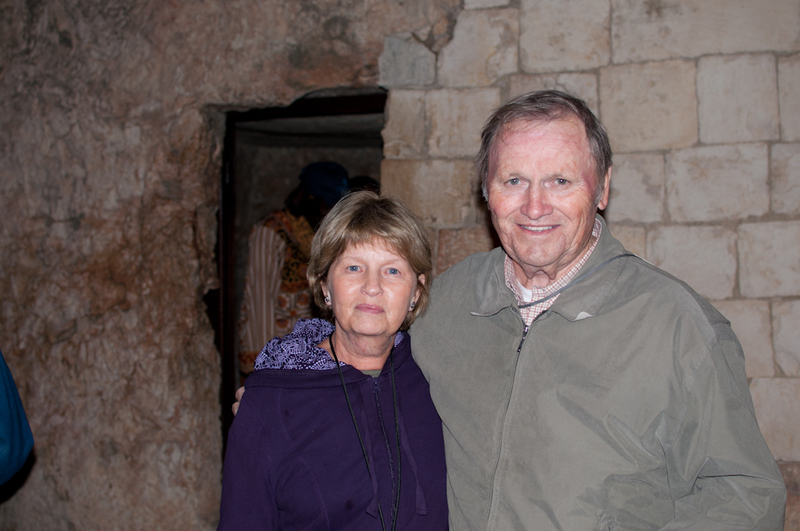 We gaze with wonderment into the empty tomb, and many of us no longer have dry eyes – even those who have made this pilgrimage many times. 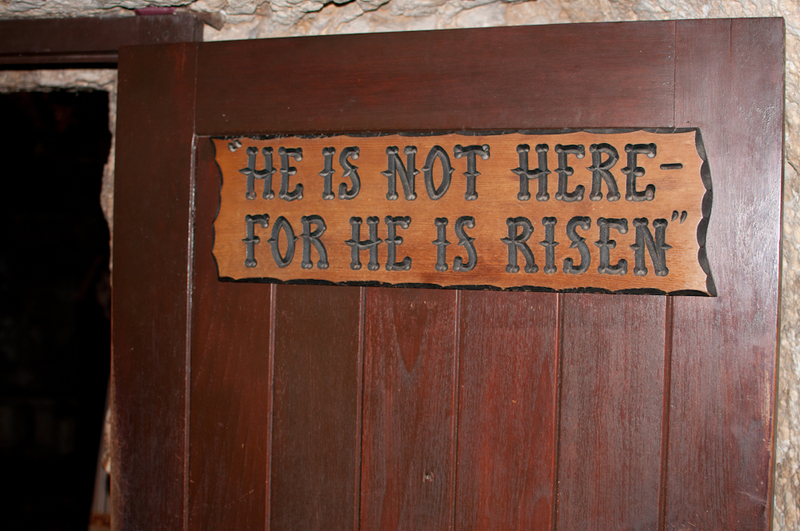 It is still powerful to be faced with the physical reminder that our Lord, our Savior, is not dead, and will again return! We retire to a covered area to partake of the Lord ’s Supper, and listen to Mark remind us of all the prophecy that we have witnessed in this past week. 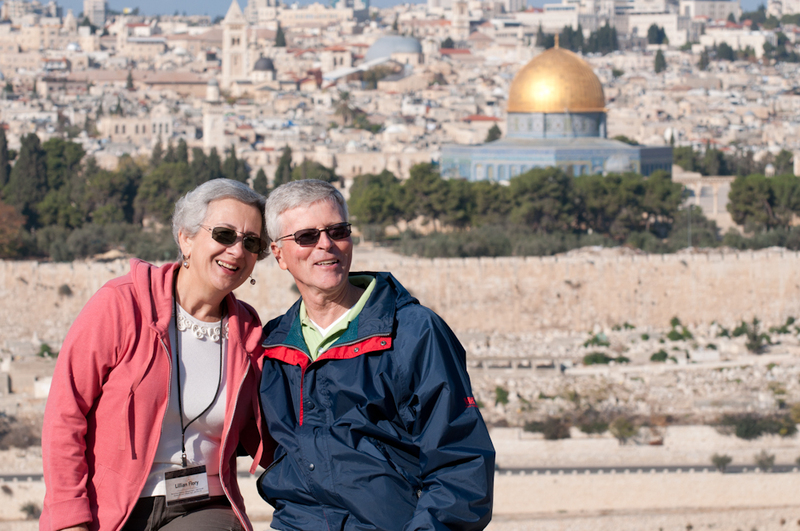 It’s “broken places” have been restored (Amos 9:11 -13), the Jews have been brought up from all the other nations (Ezekiel 34:13), the deserts are blooming (Isaiah 51:3), and Hebrew is spoken again (Zephaniah 3:9). The prophesies are true, and the promises are true. God loves us, and He sent His son to die for us, and He is coming again to take us home!